The Roebelline consist of a Stripping Machine and a Roebel Press which are positioned in a row and which are connected electrically to combine their functions. 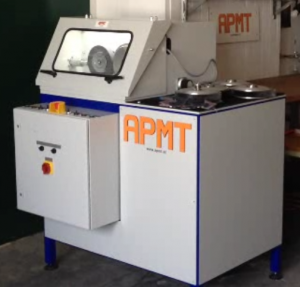 The Stripping Machine is designed to straighten, to strip ends and to cut single copper strands coming from a spool. 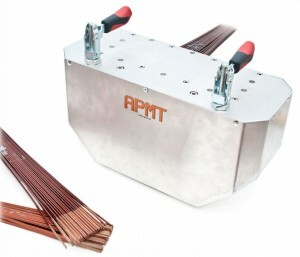 The Roebel press with ejection unit is designed for the ejection of cut-off-copper-strands and for bending these copper strands into Roebel bars. The stripping unit is installed at the semi-auto Roebelline AT-RL and the fully automatic Roebelline MR-300. 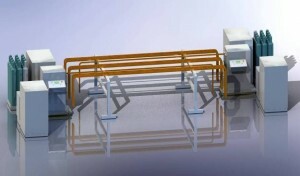 The stripping unit consists of two independent stripping stations, one horizontal and one vertical. 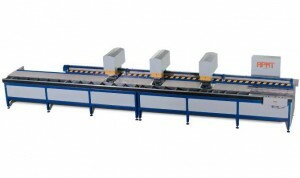 The Interturn strand tester was developed for the measurement of straight bar short circuits after consolidation of the straight bar section. 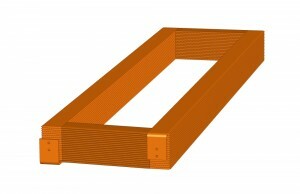 The AT-ITD is designed for two-rowed bar types. The semi-automatic Pole Coil Brazing Machine PCBM is build for manufacturing of pole coils by inductive brazing of the coil angles. 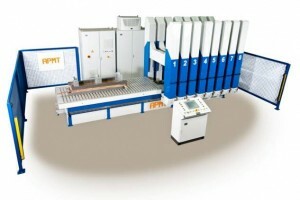 The machine is designed with 4 brazing towers with integrated hydraulic brazing joint press. Pole coil consolidation press with manually moveable press gantries, induvidually controllable, flexibly combinable. Available with 1 or 2 movable tables. 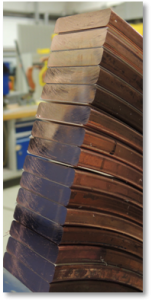 This C-Coil annealing device works with protective gas. 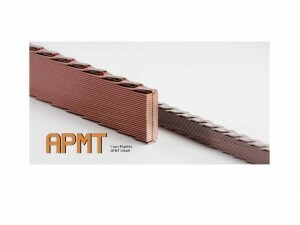 The protective gas annealing has the advantage that it is a clean process. No finishing work is necessary. The C-Coil-Cut-Off machine is build for bending rotor C-Coils in radial direction and for cutting and milling the end surface of the C-Coil package to the required final shape.